Gillette Mach3 Razor Blade Refills feature a lubrication strip which helps the razor to glide and protects your skin from irritation, and a microfin skin guard that stretches the skin, preparing the hairs to be cut. The sharp blades are engineered to last for 15 comfortable shaves. 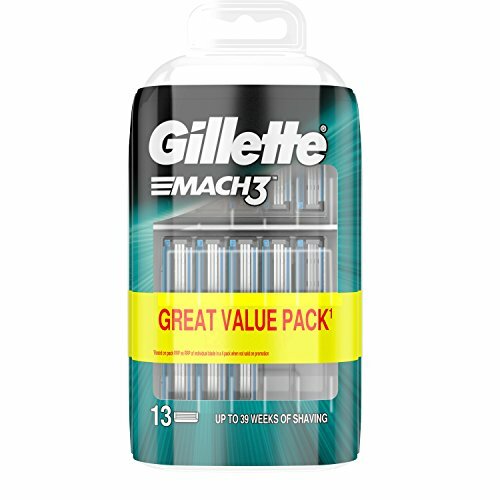 These 13 Gillette Mach3 Razor Blade Refills are compatible with any Gillette Mach3 razor.